Everything happens for a reason - Keep believing miracles happen - for sure as they say that there is always peace in Almighty's will. Because........ Everything happens for a reason. 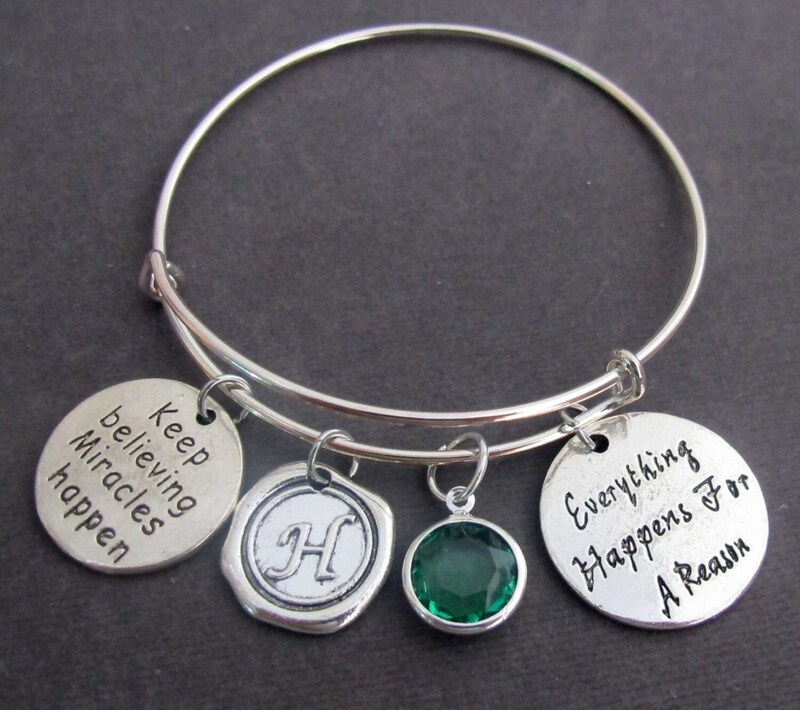 This Bangle Bracelet is Personalized with Initial and Birthstone of the Recipient, and looks awesome with awesome quote. 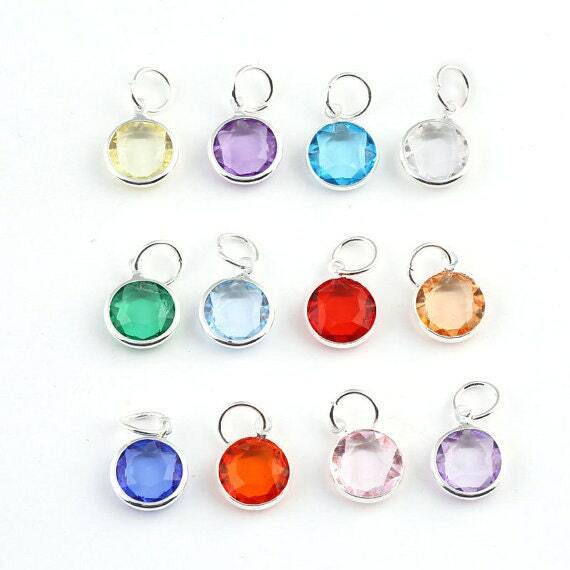 This sender accidentally sent two of the same charms but corrected their mistake quickly. It was a good experience working with this seller. I love my bracelet , it's a beautiful it's not flimsy but it's sturdy and I liked all my charms. I will be ordering more in the future.